In this article you will find LG L80 Dual firmware download for CWM and different regions. The smartphone has a model number LG D380. Also read how to install KDZ LG firmware. LG L80 Dual has 5-inch LCD display with IPS-matrix and resolution 800 x 480 pixels (187 ppi). The performance LG D380 is supported by 2-core Qualcomm Snapdragon 200 processor clocked 1.2 GHz, 1GB of RAM. The other features of smartphone include camera with resolution of 5 MP and battery capacity of 2540 mAh. Please note: you install firmware at your own risk, nobody responsible for your smartphone. 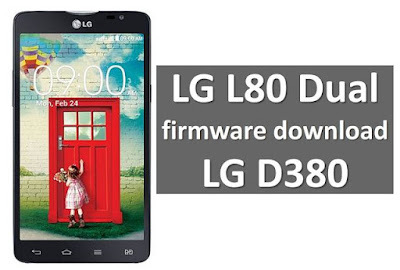 If our collection LG L80 Dual firmware download was useful to you, share articles with friends.